Check out these four well-known companies with roots at Brown University. Brown University is only one of two Ivy League schools without a business school. While some might take that as an indication that the community lacks business chops, we’re happy to report that the entrepreneurial spirit is alive and well among Brunonians. At Waterman Ventures, we’re working to build a portfolio of Brown-connected companies, and we’re constantly impressed by the innovations coming out of the community. If you don’t believe us, check out these four successful and well-known companies born out of the creative and driven minds of Brown alumni. 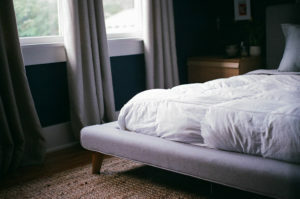 If you’ve shopped for a mattress in the past few years, you’ve probably heard of Casper. The company is a leader in the fast-growing “bed-in-a-box” movement, providing consumers with affordable, quality mattresses that are vacuum-packed into boxes about the size of a baby’s crib. Casper was founded in 2014 by a team of five, including Brown alums Neil Parikh (’12), Gabriel Flateman (’12), and Luke Sherwin (’12). Just one year into operations, Casper reported $100 million in sales. The company has gone on to add new sleep-related products, expand into Europe, and attract top executive talent from Google and Kate Spade. 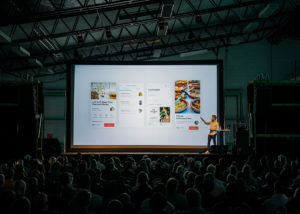 Today, SlideShare is one of the most well-known presentation sharing platforms in the world, but in May 2006, the company was simply an idea being tossed around by Rashmi Sinha (PhD ’98) and her husband Jonathan Boutelle (’97). They went on to launch the company in October of the same year along with Sinha’s older brother, Amit Ranjan. SlideShare enjoyed almost instant popularity and was attracting more than 50 million users a month by 2012, when it was acquired by LinkedIn. Named after Jack Kerouac characters Warby and Parker, disruptive eyewear company Warby Parker was founded in 2010 by a quartet of then-MBA students who were frustrated with the ridiculously high cost of a pair of glasses. 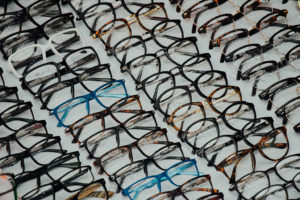 One of those co-founders was Brown alum Andy Hunt (’04), a reformed “compulsive loser of glasses.” With each pair of frames going for a flat $95, Warby Parker continues to be a viable challenger to Luxottica, a conglomerate that owns 80% of the eyewear industry. After the success of Warby Parker, Andy Hunt pursued numerous other ventures. His new roles include that of Director at RealSelf. One of Alumni Ventures Group’s portfolio companies, RealSelf is an online platform that connects millions of monthly visitors with robust information about cosmetic procedures and the clinicians who provide them. The company raised a $40 million investment round in 2017 and caters to about 10 million unique visitors per month.